Carbon Monoxide Poisoning - Do You Have These Symptoms? Carbon Monoxide Poisoning – Do You Have These Symptoms? Carbon Monoxide is Poisonous, Odorless, Silent, Colorless, and Tasteless. Carbon Monoxide Poisoning may be occurring Right Now and you may not know it until it’s too late – possibly while you are sleeping. Do you have a Wood Stove? Pellet Stove? Oil, Natural Gas, or LP Propane heating system? If the combustion or venting is inadequate, leaking, or of poor quality, you could be experiencing Carbon Monoxide poisoning. 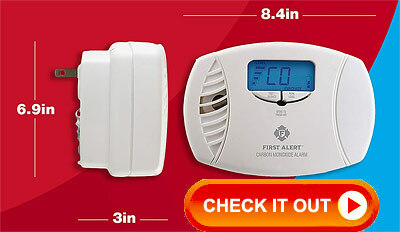 Get yourself a Carbon Monoxide Detector! How Does Carbon Monoxide Poisoning Happen? Carbon Monoxide is produced whenever a combustible fuel is burned. The amount produced depends on the fuel and the quality of the burn or combustion. A poor burn or improper ventilation will build up a high concentration of Carbon Monoxide in the home. You can’t smell it, so you won’t know that it’s happening. Carbon Monoxide in high concentrations, starves the oxygen from bodily tissues. This could lead to seizure, coma, and fatality. How Many People Die or Treated Each Year? In the United States, more than 400 people die each year from accidental Carbon Monoxide poisoning. Thousands of people each year require emergency treatment. Dangerous Levels ( PPM ) ? It only takes a minuscule amount to harm or kill you. As little as 100 parts per million (ppm) can result in Carbon Monoxide poisoning and give you a headache after 1-2 hours. 400 ppm can be life threatening after 3 hours. How is Carbon Monoxide Deadly? Hemoglobin in the blood carries oxygen from the lung to our organs. But it has an affinity for Carbon Monoxide that is 200 times its affinity for oxygen! So it gets grabbed up first and oxygen gets pushed aside. It stays attached to the hemoglobin for hours, so as it is taken up it begins to saturate the blood. Eventually (quickly) NO OXYGEN can be taken up and transported to the cells of our organs, and they begin to die. Will Carbon Monoxide Accumulate Downstairs or Upstairs? Carbon Monoxide is a gas that weighs slightly less than air. It will tend to rise and accumulate more upstairs in a home if the heating system is malfunctioning. However, the first floor is still vulnerable under the same circumstances! Back in the “Old Days” the houses were not constructed as ‘tight’ as they are today. Basically, they leaked air like crazy, which is why old houses took so much energy too heat. In most old houses, more than half of the heat loss was from cold air leaking in. Carbon Monoxide could not build up as quickly inside. With newer ‘tight’ construction, less infiltration (leakage) means that gases can build up inside, and Carbon Monoxide can concentrate if a source is there. A furnace that is not completely and efficiently burning all of its fuel (poor combustion) will produce excess Carbon Monoxide. Regular service is advised. Furnaces with air-intake filters can clog, causing poor fuel combustion and high Carbon Monoxide levels. Periodically check the air intake. Furnaces with improper venting (including wood stoves) will release high amounts of Carbon Monoxide into the living area. Prevention is the key to survival. Preventing Carbon Monoxide poisoning is a three step process. Detection can only be trusted to a quality Carbon Monoxide detector. Every home should have at least one. Best to have one on each level of the home. Particularly during the winter months, please consider protecting your family from the unthinkable. Just like a home smoke alarm, a Carbon Monoxide detector could save your life! A likely place to be caught off guard for Carbon Monoxide poisoning is while you’re sleeping in the bedroom. Keep one within earshot of where you sleep. Most Carbon Monoxide detectors simply plug into a wall outlet (with a built-in battery backup). So don’t worry about high up on a wall or lower to the floor. Most outlets are near the floor. That’s good enough. Just have one! Shelf Life? Do They Expire? IMPORTANT: Carbon Monoxide detectors (and smoke detectors) have a shelf life! This varies between 5 and 10 years depending on the manufacturer. Many will have a date on the back or inside (the battery compartment). 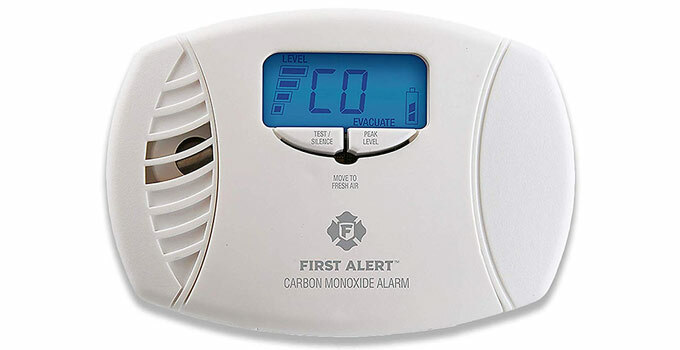 I remember last year when my Carbon Monoxide detector let out a loud chirp, and then later on again… I checked to discover that it was six years old (end of shelf life?). There was no indication on the digital screen of a any detected Carbon Monoxide level (ppm was ‘000’), so I figured that it was flaking out due to its age. So I ordered two of the latest replacements. True about the affinity for the hemoglobin to attract the CO molecules and they let go slowly. First treatment is removal from the environment second is oxygen (if available) as some of it will attach. As time progresses more of it will attach. Capillary refill can be another symptom. Unusual or unexpected headache is usually the first clue. Great reminder article going into the heating season, don’t want to lose anyone to CO poisoning when it can be prevented. Yes, great timing for the article. The CO detectors can be used to replace expired smoke detectors. If the CO sets off the alarm, it has a different chirp than the smoke detector portion. Since all of the smoke detectors are wired in together, they all chirp the same as the alarm going off, so you will know if it’s smoke or CO.
Peanut Gallery, Be careful! They do make combo units (CO & Smoke). But a Carbon Monoxide alarm is different from a Smoke alarm. Thanks Ken, yes we have the combo units. A little pricier than just a smoke detector, but it’s two detectors in one. We put these all over our new farmhouse. Different kinds, some combo, some plain smoke detector and plain CO2. Don’t want. all my eggs in one basket…. Just ordered three – for my home and two kids homes. Several years ago a coworker came into my office and found me unconscious due to a CO2 leak from the local utility. He dragged me outside and I quickly recovered. I read that smoke detectors also need to be replaced every so often. I once thought they lasted forever but evidently not. I can’t remember the reason how they lose their effectiveness over time. Depends on the type of detector, but for the most part the ‘gas sensor’ in the CO alarm has a limited life. Remember those beepers you carry in the oil patch?? They are only good for two years max and should then be replaced. (n0t just the H2S you mentioned, but also the CO, O2 and combustible gas monitors too) Normally the battery life will usually exceed the effective sensor life. Its a chemistry thing within the sensor. Plain jane smoke detectors have their own issues. For me, I run combo smoke/CO detectors, hardwired together with battery backup. I’ve lost too many friends underground, and above ground, and nearly lost my own life due to CO. Never again. I never thought much about detectors years ago until I started working in the oilfield. On many jobs we had to have personal H2S monitors that we carried all the time when on the job site. It was there I realized that an invisible gas in high enough concentrations could cause instant death from one breath with no possibility of recovery. So I take this stuff very seriously even though it might not be on the forefront of our minds. We have CO detectors in the cabin and horse trailer .,., tightly enclosed areas……. especially.after PW’s episode. None in the house, but I need to.